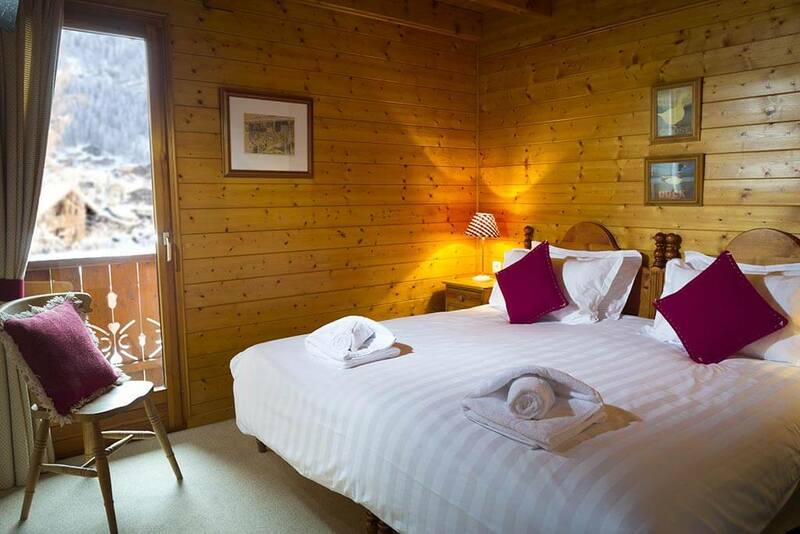 Our flagship, privately owned high-quality catered chalet is booked during the summer season on a room by room basis by like-minded families, couples and friends looking for an active alternative to the traditional beach holiday. 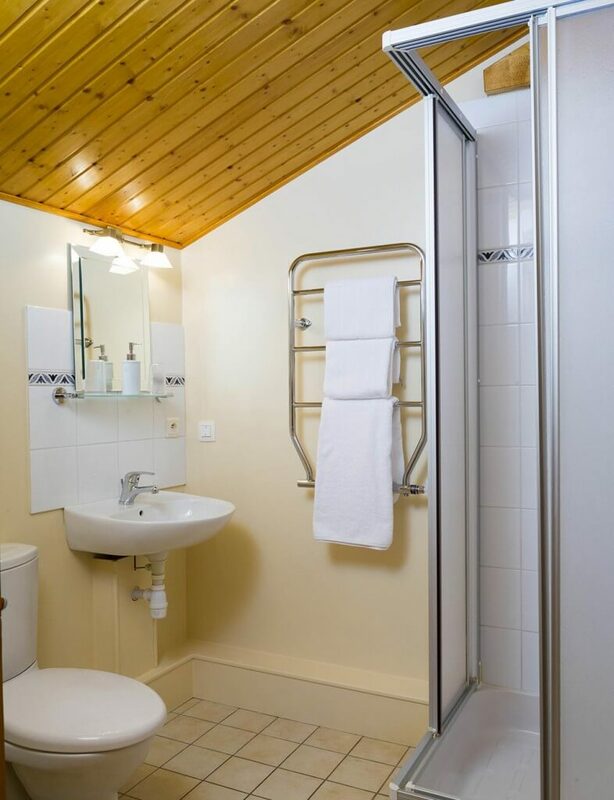 Perfectly located, this impressive 8 (or 10) bedroom ensuite chalet nestles within private grounds in a peaceful residential area, yet only a short walk from Morzine’s bustling resort centre. There is a landscaped garden, an outdoor hot tub and magnificent dining & sun terraces with panoramic alpine views. 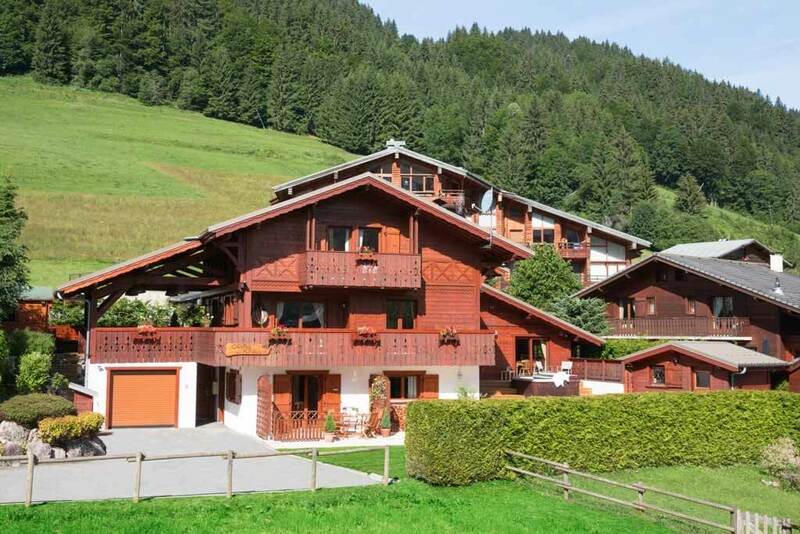 Perfectly positioned close to central Morzine yet in a quiet location with private grounds, the beautiful Chalet des Montagnes is the heartbeat of our unique summer activity holiday programme. The chalet – with outdoor jacuzzi, dining terrace and gardens – is available throughout the summer season on a catered basis. It is the ideal base for a truly memorable activity holiday in the Alps. Rooms can be booked individually or larger groups may take sole occupancy. 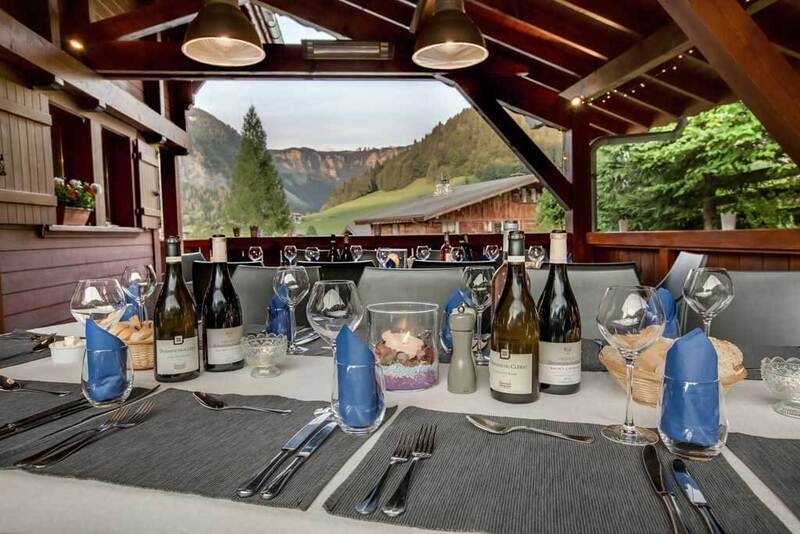 Privately owned by Simply Morzine’s founders, the Marshall family, this ‘shared’ family-friendly chalet is like no other in Morzine during the summer. The relaxed ambiance, unrivalled facilities, restaurant-standard cuisine, free-flowing house wine & beer and attentive, caring service – plus luxury outdoor hot tub – all come together to create a simply unique holiday atmosphere. The property is perfect for people looking for something different on their summer holiday. 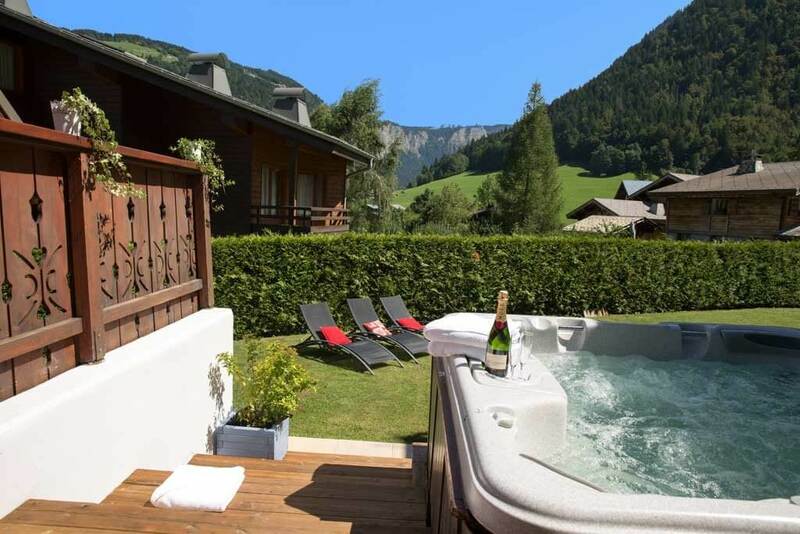 Chalet des Montagnes enjoys arguably the best summer location in Morzine, nestling in a peaceful and upmarket residential area with glorious picture-postcard mountain views. 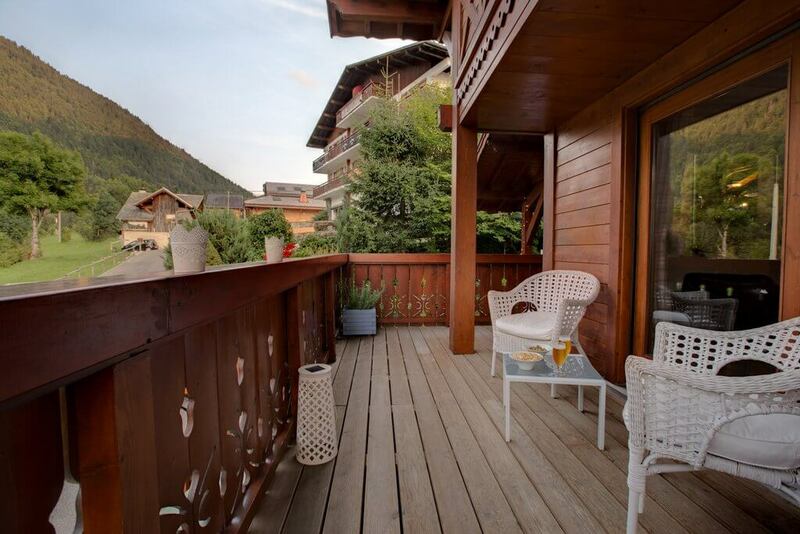 The bustling village centre and all amenities are within easy access of the chalet, just a short walk away. 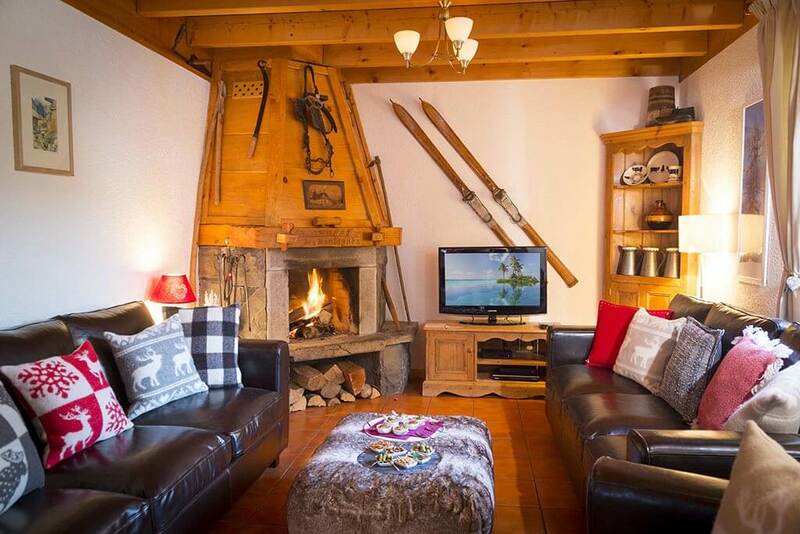 Rare in Morzine, the chalet boasts ample outdoor space thanks to a large, sunny plot of 1000m2. The pine forest and gentle ski slopes, now lush green alpine meadows, are immediately behind the chalet. An important feature in the summer is the chalet’s dining and sun terrace, an impressive and versatile large timber-decked area. The covered part of the terrace (heated if occasionally needed) is used for dining alfresco for both breakfast and evening meals, including hosting our infamous weekly Simply Morzine BBQ! The open part of the terrace is south-facing to catch the afternoon sunshine and is lovely spot for relaxing on a sun lounger. 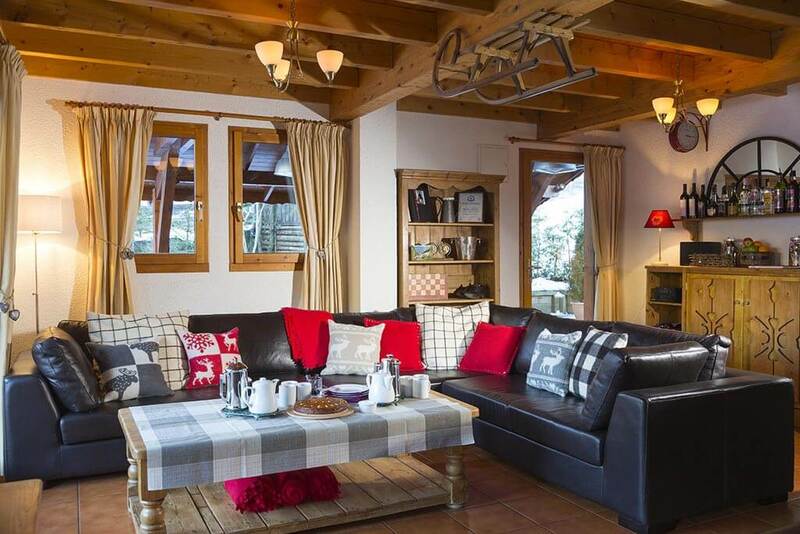 The chalet’s open-plan living area is beautifully furnished and includes an honesty bar, comfy leather seating and access to the balcony and terrace. With UK Freesat TV, board games, books, wireless music system and WiFi internet, this is the ideal sociable space for all. If meals aren’t served outdoors, the chalet also has a separate dining room. 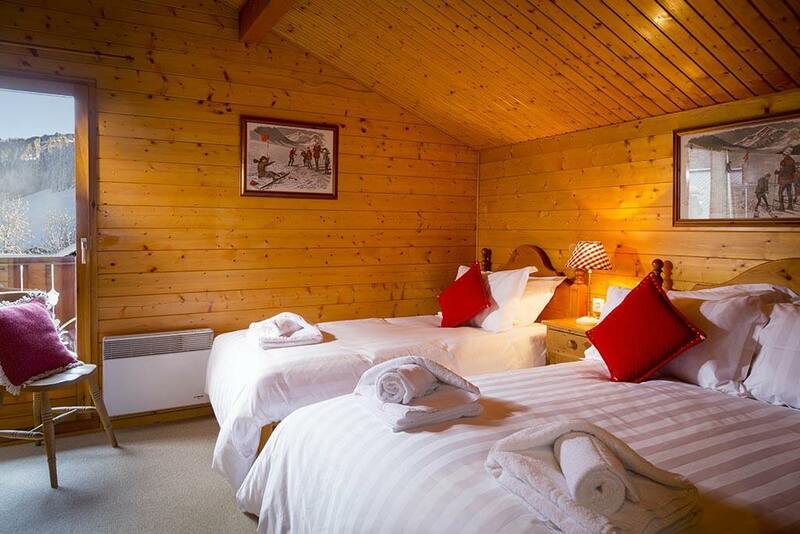 There are 8 comfortably furnished and well-appointed ensuite bedrooms in the main chalet (including a family suite). 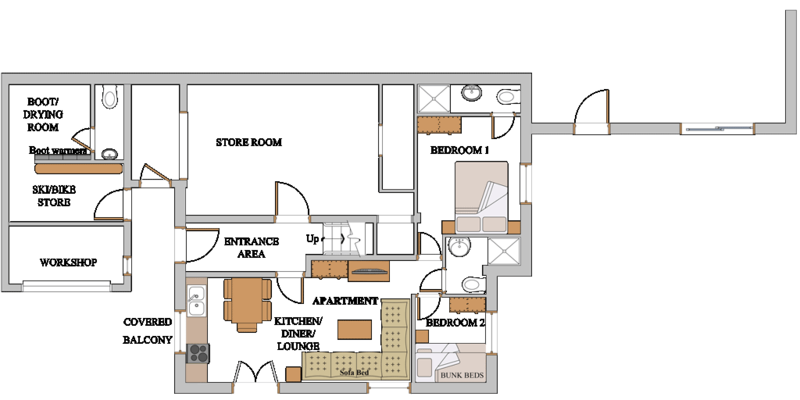 A further 2 bedrooms are available in the ground-floor apartment, which can also be booked on a self-catered basis. Private grounds offer ample parking, landscaped gardens and table tennis area (where a tournament is held on BBQ night!) There is also a secure bike and storage room. “A truly fantastic week with wonderful scenery, weather, meals and plenty of wine! The Simply Morzine staff were so helpful and welcoming and we really enjoyed all the different activities on offer. At the end of the week our children said that it was the best holiday they have ever been on!! I would highly recommend Simply Morzine. 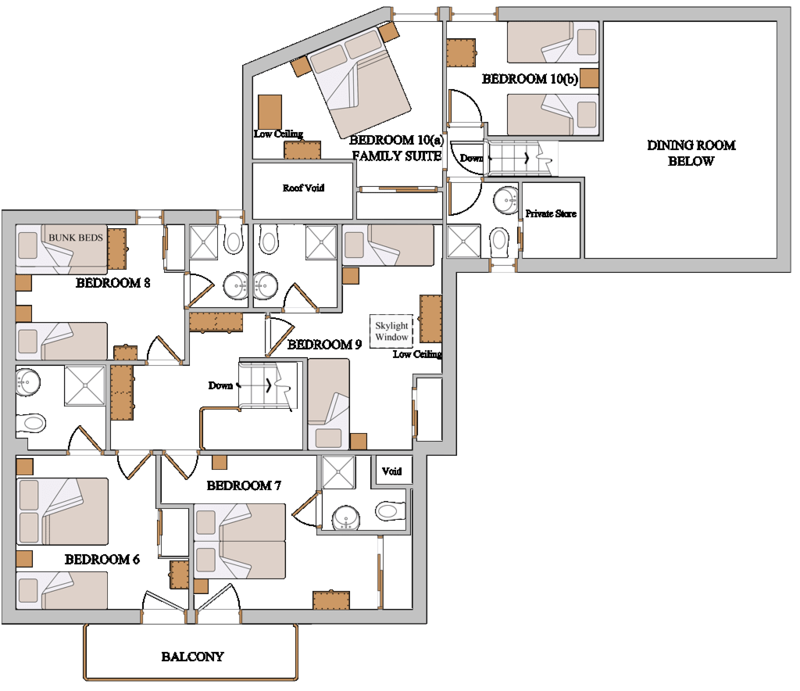 Comments: Main chalet 8 bedrooms (including family suite). Apartment 2 bedrooms. 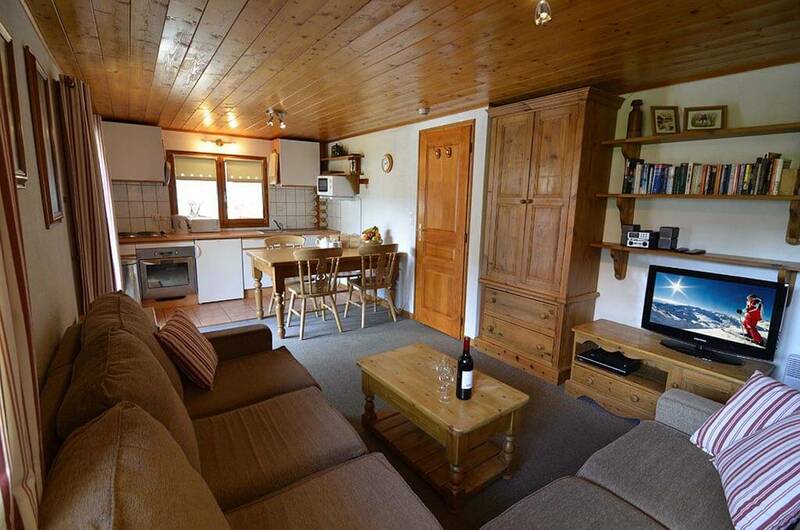 Sleeps: Main chalet 16-20. 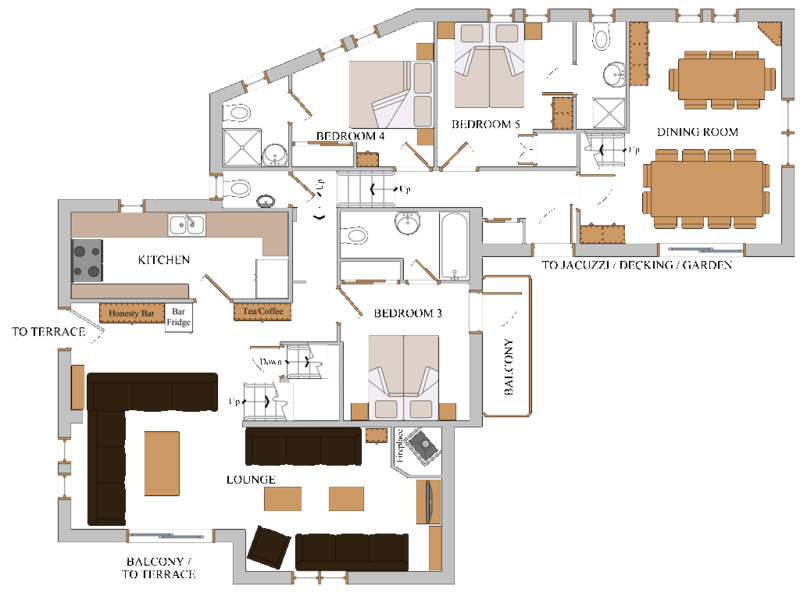 Chalet + Apartment 20-24. 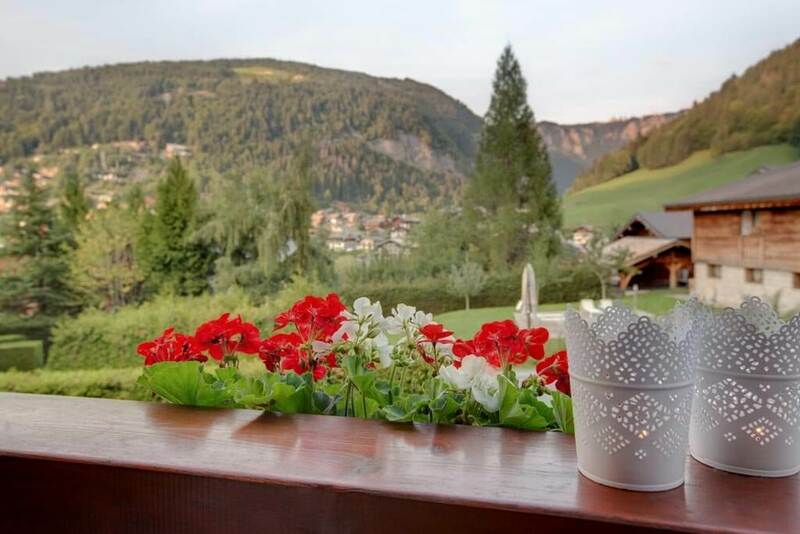 The location is arguably the best summer location in Morzine - a peaceful and upmarket residential area with panoramic views, whilst an easy 10 minute walk to the town centre and all amenities. 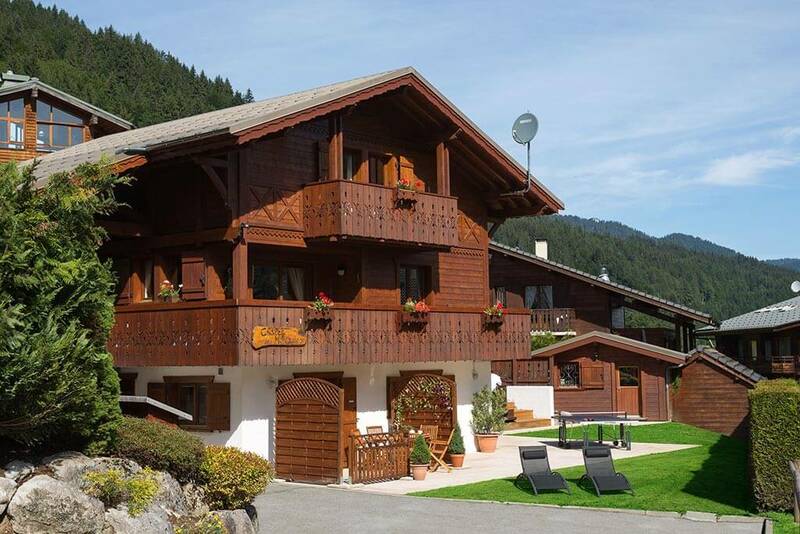 The apartment can be taken as part of the main chalet for a larger group, or let separately on a catered or self-catered basis. Welcome drinks and canapés for weekly guests and exclusive occupancy short breaks.